"Fusion Tube Edge" frame construction: the most stable and safest frame of Corratec! 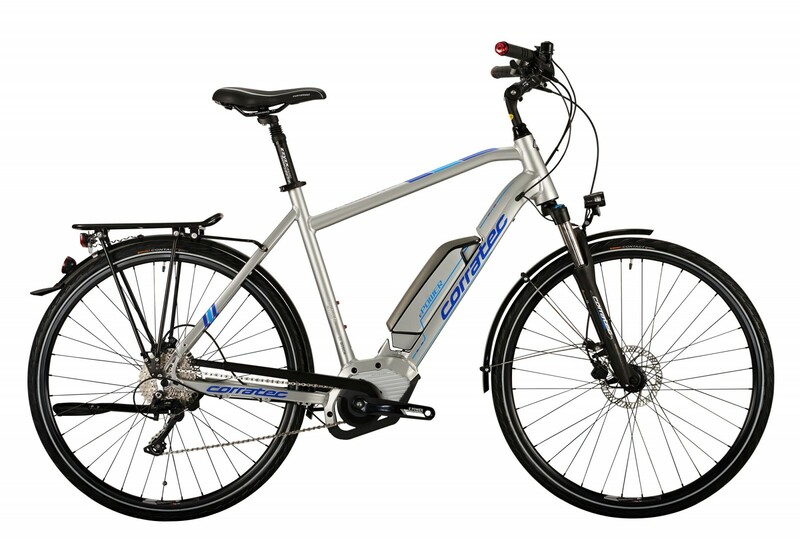 The Corratec e-bike E Power Active 10S 400 (Diamond, 28 inches) is eqiupped with the approved Bosch motor of the Active Line and comes as model for men with a diamond frame. The special feature of the e-bikes of Corratec is the so-called "Fusion Tube Edge" frame. Thanks to a reinforced edge in the inner pipe, this shape presents the most stable and safest frame construction of Corratec up to now. It also facilitates the integration of the 400 Wh battery and the separate cable routing, whereas the battery is still easy to remove. As a further innovation, the manufacturer also uses the "Integrated Engine Technology" for the Corratec e-bike E Power Active 10S 400 (Diamond, 28 inches). It makes a complete integration of the Bosch motor possible; the "Engine Protector" serves as cover and protects from stone chips and other outer influences! Corratec e-bike E Power Active 10S 400 (Diamond, 28 inches) add to comparison list.